The ALS-LFI120, for example, contains 8 integrated speakers, 8 amplifiers and 8 DSP channels. The vertical sound inclination angle can be adjusted between -40°/+40° and the vertical beam width between 0° to 90°. Using Fohhn’s intuitive software, adjustments are made in unbelievably fine and precise 0.1° steps. Linea Focus also establishes a new benchmark for the reproduction of speech and music. The high-powered speakers’ exclusive development and innovative digital technology produces a dynamic, natural sound quality. Speech, AV productions and live music are all superbly reproduced with Linea Focus systems. Each separate speaker is individually equipped with one of the latest generation CLASS D DSP amplifiers, producing 100 W path power per channel. A Linea Focus ALS-LFI120 system, for example, has 800 W of available amplifier power. State-of-the-art digital amplifier technology – made in Germany. Equipped with 8 separate amplifier channels and specially developed to allow individual control of each speaker chassis. 100 W path power per channel. Superb sound characteristics and extremely high efficiency levels. Minimum heat generation. Maximum operating reliability. Up to 8 separate DSP channels enabling individual speaker control. 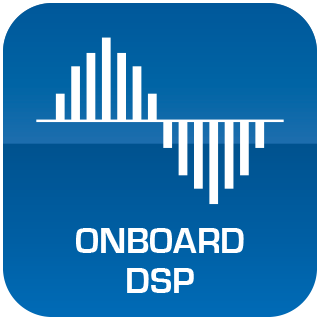 Latest DSP processors: 24-Bit AD converter, filter depth 56 Bit, sampling rate / fine tilt control, 96 kHz, latency 0.6 ms. Ultra-fine, precise control in 0.1° steps up to 15 kHz. Integrated, freely-configurable audio devices including parametric EQ, dynamics, delay, noise gate, hi pass / low pass, status monitoring. All settings can be saved as presets.